Mountain View, California — Science is a dirty game. People get hurt. Marriages get broken. Mix tapes get dropped. But in the end one is able to move humanity forward and make a difference. This is why we do database. This is why we get up in the morning for the research grind. Maybe there is a better life out there, but frankly we do not want to hear it. Given this, the CMU Database Group is pleased to announce that their own Prof. Andy Pavlo has won a 2018 Google Faculty Research Award. This award was for his research on automatic database management systems. Andy was one of a total 14 faculty members at Carnegie Mellon University selected for this award. 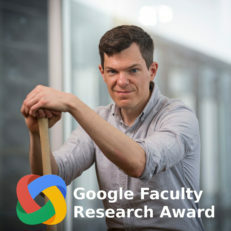 More information is available on the Google Research announcement.